Scott G. Taylor graduated from St. Louis University School of Law in 1993 and was admitted to the Missouri Bar that same year. Scott previously attended Willard High School, as well as Missouri State University. Scott began his legal career working on behalf of many clients, including insurance companies and large corporations, handling a wide array of different types of cases. After working in St. Louis for four years, Scott moved back to his roots in southwest Missouri in 1997. He initially worked for a larger firm in Springfield before working in smaller firms focusing solely on representing individuals. He is an experienced attorney in many areas of the law, and his current practice areas include personal injury, workers’ compensation, medical malpractice, domestic relations, criminal defense, and civil litigation. Scott represented a client who had rented a tractor with a backhoe. The backhoe stopped working properly and while examining it, the client suffered a traumatic injury from a high pressure hydraulic hose that was leaking. The defendant denied all liability, yet right before trial, the defendant settled the case for several hundred thousand dollars. Scott represented a client that was crushed and killed in an industrial accident involving a large mixer. In addition to a very large lump sum payment, he was able to obtain a lifetime of payments for the family of the victim. The employer argued in this case that the employee had violated safety laws and caused his own death, despite the fact that they had encouraged him and made the activities that led to his death necessary. 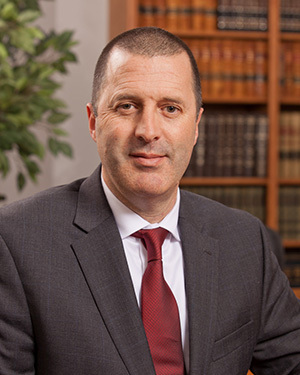 Scott represented a client whose wife died after a relatively routine surgery. She had a reaction that caused her to need additional treatment, which was not timely provided by the hospital or the surgeon. She ultimately died within weeks of the mistake. The defendants argued that proper care was provided and that the result was a known risk of the surgery. A confidential settlement was reached, paying the policy limits of the defendant’s insurance policy. Scott represented a client that had been treated by an OB-GYN, and as a part of that treatment, the doctor was advising the client in the client’s attempts to become pregnant. This client had ovarian cysts that the doctor wanted to remove during a routine procedure. However, the doctor had multiple surgeries scheduled on that day and mistook the client for another patient. The defendant performed the wrong surgery on the patient and cauterized her tubes, rendering her sterile. The defense said she would never have gotten pregnant in the first place so she suffered no real damages. Prior to trial, a large confidential settlement was reached. Scott represented a motorcycle rider who passed a number of vehicles in a long turn lane, from which he intended to turn. Another vehicle entered the turn lane through a gap in the other vehicles, striking the client. The defense stated that the motorcycle rider was in the lane too early. After investigating the circumstances, the defendant’s insurance company paid its policy limits. On a more personal note, Scott is an avid runner, having run multiple marathons, including the Boston Marathon in 2014. He is an assistant coach for the Springfield Track Club. In his spare time he also enjoys snow skiing, riding his motorcycle, and trips to the lake with his children.